Discover a range of gentle and effective cleansers, toners, masks and scrubs using highly natural formulas for a refreshed complexion. Caudalie's hydrating range contains soothing and rich in organic grape water and anti-oxidant ingredients. Ideal for dry and sensitive skin. Protect your skin against daily pollution from the harsh working environment, stress and other free radical damage caused by a busy lifestyle. For long, lasting youth. Treat dark spots, blemishes and vanquish imperfections and dull skin with Caudalie's bestselling Vinoperfect collection for naturally glowing skin. Award-winning and scientifically proven skincare that tackles all signs of ageing, from wrinkles to dark spots and everything in between. Smooth, firm, nourish and moisturise your skin with our collection of indulgent spa inspired body products. 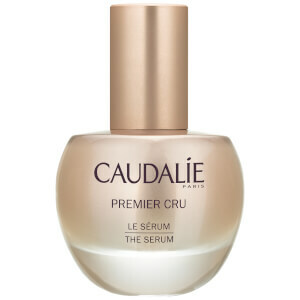 Caudalie is a cutting edge French skincare line, known for their exceptional patented anti-ageing technology. Caudalie's story starts in France in 1995 at the heart of a vineyard with a husband and wife, Mathilde and Bertrand Thomas. They believe the grapevine and grapes contain exceptional powers for the skin and they use the best ingredients to develop beauty products that are not only effective but also natural and luxurious.